Situated in Century Wharf boasting excellent links to Cardiff Bay and the City Centre is this lovely one bedroom furnished apartment. The property comprises a spacious lounge with separate modern fully fitted kitchen, a three piece bathroom suite with shower over bath and a good size double bedroom. Tastefully furnished and ideal for a young couple or a single professional. Further benefits include on-site leisure facilities, including swimming pool and gymnasium, a gated secure allocated parking space and a 24 hour concierge service. Managed Property. Bond £900. No Children, Pets, Smokers, Students or D.S.S. A unique and spacious open plan studio apartment situated in the heart of Cardiff Bay. This lovely property features an open plan lounge / bedroom area with feature wooden beams and wooden flooring, a modern fully fitted kitchen with fridge/freezer, cooker / hob and a separate three piece bathroom suite with shower over bath and plumbing for the washing machine. The rent includes gas, electric and water. Walking distance to City Centre and Mermaid Quay. Ideal for a single profession or a couple. Bond £950. OFFICE SPACE IN CARDIFF BAY AVAILABLE NOW **Rent includes water, electric and internet** A recently refurbished office space located in the heart of Cardiff Bay. The office forms part of the old Bute Dock Hotel within Mount Stuart Square conservation area. This is an ideal opportunity to obtain a modern office in a central location with excellent access to both Cardiff Bay, The City Centre and the M4. Call to arrange your appointment today, booking essential. Located just minutes away from Culverhouse Cross and set in the peaceful and scenic area of The Downs is this spacious unfurnished three / four bedroom detached house. The property comprises a good size lounge, fitted kitchen with oven & hob provided, a large conservatory, three double bedrooms, a garage conversion that can be used as a fourth bedroom or another reception room and a three piece bathroom suite with shower over bath. 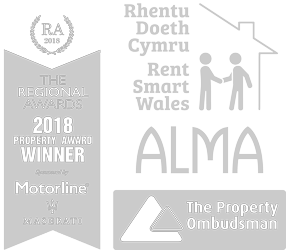 The property further benefits from a hardstand for parking for up to two vehicles, a good size enclosed rear garden, G.C.H, double glazing and has great access links to the likes of the M4, The Vale of Glamorgan, Cardiff Bay and the City Centre. Non Managed Property. Bond £1050. Located in the highly sought-after Victoria Wharf, viewings are highly recommended for this very spacious three bedroom 6th floor furnished apartment in a popular part of Cardiff Bay. The property comprises a large L shaped lounge/diner with a door opening to a balcony overlooking the water, a good size modern fitted kitchen with all appliances provided, three good sized double bedrooms with en-suite to master and a three piece bathroom suite with shower over bath. The property further benefits from a secure allocated parking space, 24 hour concierge and the water rates are included. Managed Property. Bond £1700. A spacious third floor furnished apartment in the heart of Cardiff Bay, which is within walking distance to Mermaid Quay and the City Centre. The property comprises of a large entrance hallway with wooden flooring & storage area, a spacious open plan living / dining area with modern fitted kitchen (integrated appliances), a double bedroom with triple built in wardrobes and a three piece bathroom suite with shower over bath. Benefits include a secure door entry system and an allocated secure parking space. First floor OFFICE SPACE TO RENT in the heart of Cardif Bay. Located just a few minutes` walk from Mermaid Quay in West Bute Street, Cardiff Bay. £300 per month including bills (also includes internet). CALL US ON 02920 489000 FOR MORE DETAILS OF THIS GREAT OPPORUNITY. First floor OFFICE SPACE TO RENT in the heart of Cardiff Bay that is available immediately. Located just a few minutes` walk from Mermaid Quay in West Bute Street, Cardiff Bay. £250 per month including bills (also includes internet). A very well presented three bedroom UNFURNISHED ground floor apartment in the ever popular Century Wharf apartment complex. The property comprises a good size lounge, an upgraded and separate modern fitted kitchen / diner (white goods provided), two double bedrooms, a single bedroom and a modernished shower room with superior all over body shower. Further benefits include use of the onsite swimming pool and gymnasium, 24 hour concierge service and an allocated parking space. Managed Property. Bond £1150. Nestled within the heart of Cardiff Bay, just off Schooner Way we have on offer this delightful and spacious one bedroom furnished apartment within walking distance of Cardiff City Centre and Mermaid Quay. The property boasts a good size open plan living space with modern fitted kitchen, double bedroom with built in wardrobes and luxury three piece bathroom suite with shower over bath. Further benefiting from allocated parking this property is ideal for couples or a single professional. Managed Property. Bond £825.